It’s Goblin Christmas where we make merry & drink goblin beer! THE GRUNCH appears full of fright! They’ve come to destroy Grunchmas and all that is nice!" 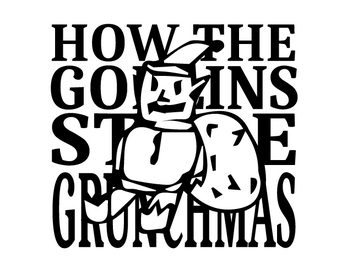 How The Goblins Stole Grunchmas is a two-page Christmas detective noir micro rpg where you must save the most sacred of goblin holidays from being destroyed. 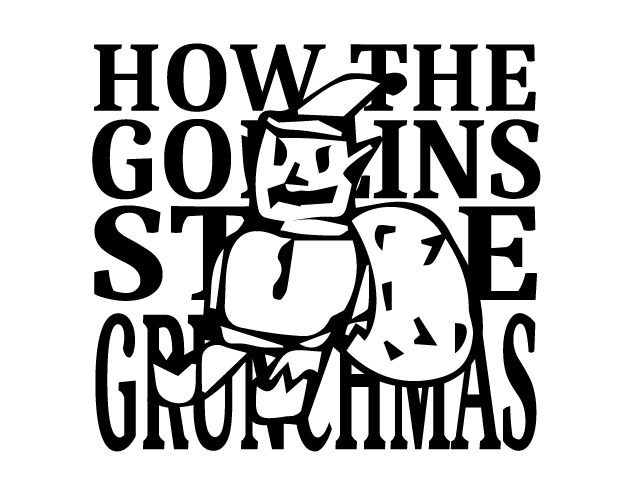 As Goblin Detectives, you will interrogate local townsfolk to find THE GRUNCH before they destroy Grunchmas - and even you - for good! Learn glimpses of Goblin culture, lore and society. Make your own morally questionable Goblin Detective. Use a simple interrogation system to turn over every dirty secret in town. Use your Grunchmas Spirit to push and prod your suspects - Watch out, working a case on Grunchmas Eve can burn you out. Use a GM-side sheet full of tables to generate interesting suspects, starting scenarios and dastardly plots. Learn how to play an effective Grunch - Learn how to break the Detectives while you evade their efforts. And some cute doodles of Santa Claws, Grunch Nog and more in between. "This is an amazing drinking game." — a playtester.